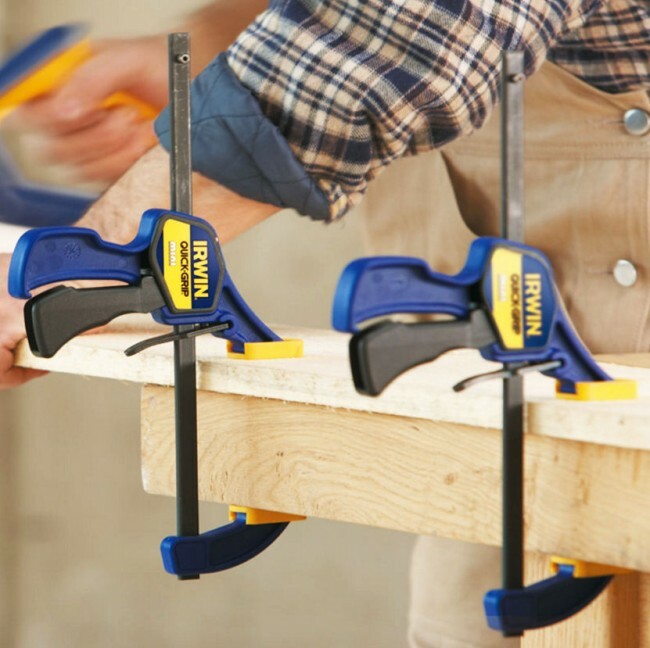 2 x Brand New Irwin 300mm 12" Mini Bar Clamps The IRWIN Quick-Grip Mini Bar Clamps have a revolutionary design and are fast and easy-to-operate. 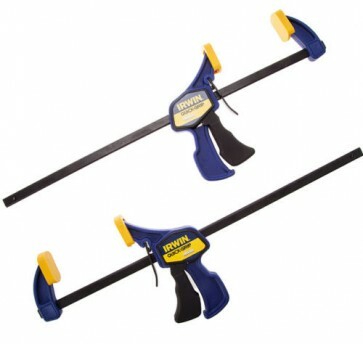 The high-tech resin body is sturdy and temperature resistant, and the 70Kg clamping hold load makes for a perfect lightweight 3rd hand. The clamps have non-marking, stay-on pads that protect the work surface.